When I asked my two children what is the most important thing to make a good Nasi Lemak, simultaneously both yelled at me “of course is the rice lah!” not bad, at least they don’t put the chicken wing, nugget, ikan bilis, peanuts, eggs be their first choice, seems like both have inherited their parents genes when come to food. 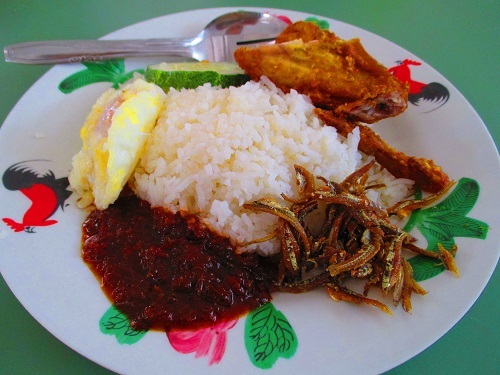 We have tasted many Nasi Lemak sold in food court, shophouse, restaurant and hotel, from those sold by Malay to Chinese, uses premium Basmati Rice to those Jasmine rice, it was real hard to find one can do well on the rice. Most of the rice is simply lack of the coconut fragrance and pandan aroma with the right texture, of course, in the end more disappointment than satisfaction. 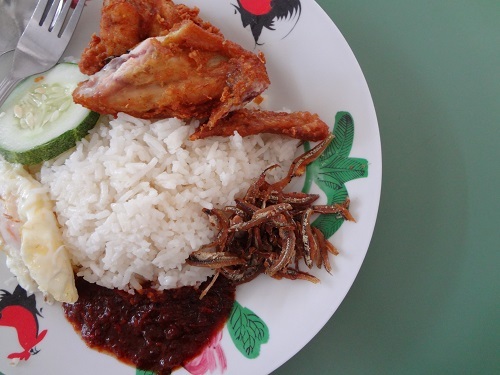 Changi Village food centre has a few famous Nasi Lemak stalls that have its own loyal fans and followers. 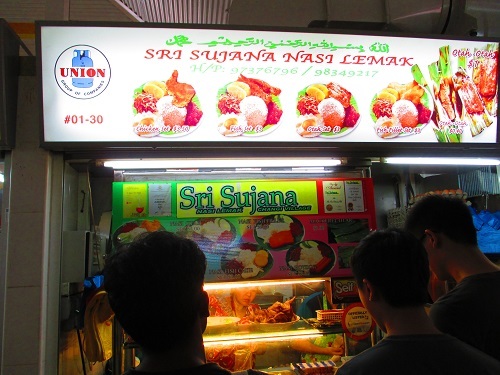 One of them is the Sri Sujana Nasi Lemak stall, despite the fierce competition, the Nasi Lemak has the capability to mimic it’s strongest competitive position in the food centre. We are truly impressed with the rice that each grain carries a very nice and irresistible fragrance of coconut milk and pandan aroma that distinct from the rest, the rice is cooked to the right texture coupled with the well-prepared sambal chili, eggs, ikan billis with peanut and the mouth watering chicken wings making the Nasi Lemak extraordinarily flavourful.